Never was a big fan of Once Upon a Time but enjoyed the occasional episode and the twists the series took on familiar characters from Snow White to Captain Hook to Robin Hood, just to name a few. With the seventh season, announced as the last, went the soft reboot route. Outside of Lana Parrilla’s Regina Mill, Colin O’Donoghue’s Killian Jones and Robert Carlyle’s Weaver, the rest of the main cast from season six did not return (although a couple others did make appearances like the return of Jennifer Morrison and Emilia de Raven). The season focuses on Henry Mills (ANDREW J. WEST) as he chooses to write his own story, taking the portal to the New Enchanted Forrest where he, quite literally, runs into Cinderella’s (DANIA RAMIREZ) coach on his motorcycle, as she was on her way to the ball. As with any Cinderella story, she has an evil stepmother (GABRIELLE ANWAR) who is so cruel as to clip the wings of Cinderella’s fairy grandmother but even vanquish her. In the meantime, and the present day, Henry and others have no memories of their time in the NEF when, mirroring the events in the first season, is visited by a little girl named Lucy (ALISON FERNANDEZ) claiming to be his daughter and of course her mother is Cinderella, known in this world as Jacinda Vidrio, a hardworking woman having a hard time making ends meet and her stepmother in this world attempting to take over and change a once culturally rich neighborhood. 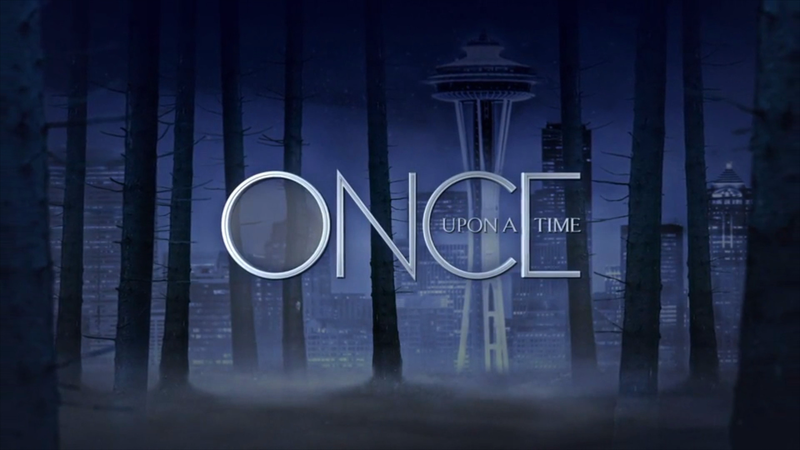 Once Upon a Time: Season 7 is hardly perfect and still has issues with some pacing for me, but still was entertaining enough all things considered. This 5-disc release comes with a title-embossed slip cover. And They Lived Happily Ever After (22:28; HD) is a featurette with cast members from all seven seasons reflecting on their favorite memories and moments. Capturing Magic: Lana’s Directorial Debut (3:53; HD) looks at Lana Parrilla’s even-season journey as Regina/Evil Queen/Roni and how it all led to the apex of her experience, making her directorial debut on an episode. The Fairest Bloopers of Them All (4:23; HD) has your cast mucking up lines and just having a good old time. And no, I did not mean that to rhyme. Really, I didn’t. Deleted Scenes (15:25; HD) include eight scenes that were trimmed. 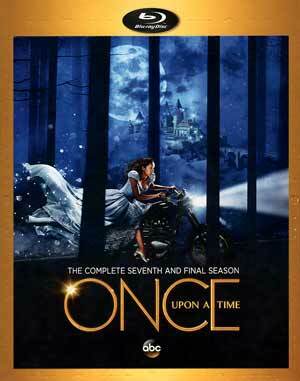 Once Upon a Time: Season 7 portals onto Blu-ray presented in its originally televised 1.78 widescreen aspect ratio and given and a 1080p high-definition transfer. Although I never watched this show live, I assume this more or less matched up with how it looked on television despite that one being 720p. Even so, colors are generally bright and detail is relatively sharp for the most part, though some of the more distant ones do come across a bit soft. The episodes come with DTS-HD Master Audio 5.1 tracks which isn’t anything amazing or filled with depth, in fact some parts are a bit flat, but dialogue levels are clear coming via the front channel but the fronts and rears do output dome decent depth for ambient noise or the fantasy-based soundtrack/score. 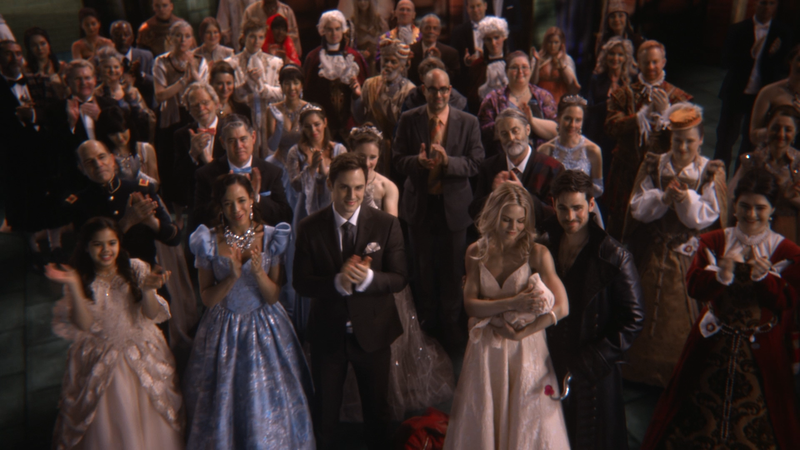 Overall, Once Upon a Time has been a mixed bag of a series for me, mostly on the negative side to be honest, but I actually did enjoy this seventh and final season and that is mostly due to the, from what I remember, controversial casting of Dania Ramirez as Cinderella. The Blu-ray itself offers good video and audio transfers and an okay selection of bonus features.